Taylor, along with George Avakian at Columbia, Reid Miles at Blue Note, and Norman Granz at Verve, all consciously attempted to shift the connotations of jazz from “left-leaning bohemian values,” widely associated at the time with folk music. (p. 170) By consciously altering the graphic signifiers on the album covers, they successfully changed the public perception of jazz to urbane—Modernism as understood by the middle class. Which sleeve in the history of rock music was the first to try to shift the connotations of rock from “teenybopper” or “pop” to “art” through the use of cover art and design? Certainly the black and white photograph by Robert Freeman used on the cover of Meet the Beatles! (January 1964), was consciously “artistic,” but it did nothing to alter the widespread association of rock with folk, and therefore its left-liberal bohemianism. In fact, the Meet the Beatles! 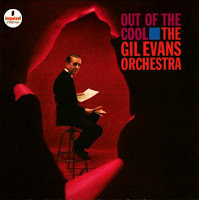 cover became the prototype of all rock album sleeves to follow, as it became common practice to use a formally arranged picture of the band on the LP sleeve. The black and white cover of the Stones’ The Rolling Stones (April 1964) was clearly modeled after Meet the Beatles!, as well as all subsequent Beatles albums, e.g., Beatles For Sale (December 1964), although the latter was in color. Rubber Soul (December 1965) continued the practice of using a group photo on the cover, slightly modified in this latter case by the use of what might be termed psychedelic expressionism. So which album cover in the annals of rock consciously attempted to alter the perception of rock music from that of left-liberal bohemianism, lower working class values (“garage”), down-in-the-basement seediness, and the gaudy day-glo, paper cut-out signifiers that signaled stoned-out psychedelia? I initially considered the Velvet Underground’s first album, The Velvet Underground & Nico (March 1967), but ruled it out because the name of the band is so stridently bohemian, and because Andy Warhol’s famous banana peel cover smacked of Pop Art and was too deliberately outré anyway. My nominee, therefore, is the Beatles’ The Beatles (December 1968), aka “The White Album” (the word album from the Latin albus, meaning blank, or white) with its minimalist art approach. Early issues of the album had the band’s name embossed on the cover on a white background, with a unique serial number printed on each cover. In subsequent issues, the band’s name was no longer embossed but printed in gray, with no serial number. In both instances, though, the album art was startlingly different than other sleeve art at the time, and the cover design, inspired by minimalist art, was quintessentially modern, and therefore urbane. Of course, the Beatles’ bold effort was all for nothing, as Charles Manson hijacked the album shortly after, and rock remained as “controversial” as ever, and hardly a sign of urbanity. I suspect, however, that the cover art concept demonstrated on The Beatles cover sleeve inspired countless graphic designers, and initiated what we now call “rock album art” as a distinct artistic form.